A new class of left-wing Democrats is supplanting a group of pro-Israel lawmakers and preparing to take Congress in a markedly different direction, according to worried supporters of the Jewish state on Capitol Hill. November’s election cost a handful of staunchly pro-Israel lawmakers their political careers. A younger crowd of liberal lawmakers who view Israel as the chief obstacle to peace in the Middle East is now entering Congress, sources say. "It’s a huge concern," said Rep. Joe Walsh (R., Ill.). Walsh lost his reelection bid to Democrat Tammy Duckworth, who was endorsed by the controversial liberal fringe group J Street. "It’s a real worry that this next Congress will not be as pro-Israel." J Street advocates for increased U.S. pressure on Israel. The group flexed its political muscle in 71 congressional races this year, doling out more than $1.8 million in campaign contributions. Seventy of J Street’s 71 endorsees won their elections. All of the endorsees were Democrats. Among J Street’s chief targets were Walsh and Tea Party firebrand Rep. Allen West (R., Fla.), who also was defeated. "J Street got incredibly active this cycle, especially with Allen West and myself," Walsh said. "Clearly, in J Street’s little silly world, I was their biggest scalp. They’re ecstatic I am no longer there. They’re still fringe, but less so." It is not only vocal and occasionally controversial figures such as Walsh and West who are exiting. Veteran pro-Israel legislators such as Rep. Steve Rothman (D., N.J.) and Sen. Joe Lieberman (I., Conn.) are giving up their seats as well. Also leaving are Rep. Howard Berman (D., Calif.) of the House Committee on Foreign Affairs and Rep. Gary Ackerman (D., N.Y.) of the House Subcommittee on the Middle East and South Asia. Ackerman has said that J Street "is so open minded about what constitutes support for Israel that its brains have fallen out." Sources said the loss of these powerful pro-Israel allies is likely to have repercussions. Rothman sat on the House Appropriations Committee, which decides how much money will be spent on U.S. military aid to Israel. He was widely known to champion the U.S.-Israel military alliance behind closed doors and often secured increased aid for the Jewish state’s critical defense programs. "We’re losing some of the House’s top pro-Israel leaders," one former Democratic Hill staffer said. "There’s going to be a tough void to fill—the pro-Israel community really has its work cut out for itself in trying to fill that void." These senior leaders will not be easily replaced, the Democrat said. 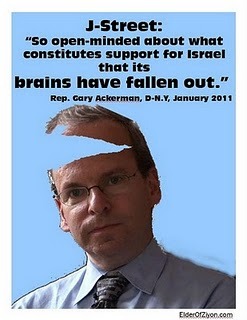 "Some of these guys are the most pro-Israel members of Congress in the position for 10 years," the source said. "They’ve burrowed down in their committees. They were champions. So no other member of Congress will be as good as they were." Observers are wondering if J Street’s election night success will translate into increased hostility toward Israel on Capitol Hill. Opponents of the U.S.-Israel relationship such as Rep. Lois Capps (D., Calif.), Rep. Bill Pascrell (D., N.J.), and Sen. Sherrod Brown (D., Ohio) won their reelection bids, while a handful of newly elected voices are expected to join the anti-Israel chorus. They include Tammy Baldwin, anti-Israel advocate Kyrsten Sinema, and Ann McLane Kuster, among others. Walsh anticipates a "less Israel-friendly Congress." Former officials of the American Israel Public Affairs Committee (AIPAC) see things differently, however. AIPAC is the nation’s largest pro-Israel organization. These observers believe J Street’s power has been inflated and that it remains just as isolated as ever. "J Street has given up the game of going head to with AIPAC because it’s so dominant," said Steve Rosen, who served as a senior AIPAC official for more than 20 years. 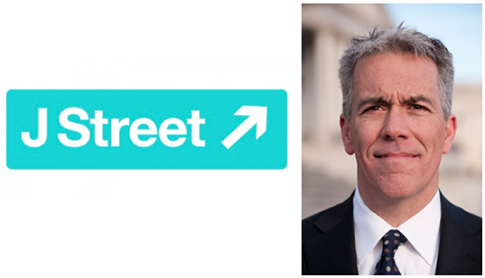 Rosen and others said that J Street has greatly overestimated its influence in Congress. It placed bets on uncontested races, wading into only a few tight races. J Street-backed candidates in most cases are even viewed favorably by AIPAC. "There’s no need for Israel’s real friends to panic," said Morris Amitay, former executive director of AIPAC. "Most of the incumbents were safe." J Street spent under $2 million, a small amount of money that was disbursed throughout many races. While J Street also threw its support behind "some of the most notorious non-friends of Israel in Congress," as Amitay put it, the vast majority of Congress counts itself among Israel’s supporters. J Street "can fool gullible people by claiming to be pro-Israel" but most of its endorsees will wise up, Amitay said. Observers also said that J Street has undermined its own existence because the group’s mantra has been that "most American Jews don't vote based on Israel." However, following the election, J Street attempted to claim that "hawkish" positions on Israel cost lawmakers such as Walsh their jobs. "J Street used to be the only lobby in Washington, D.C. insisting that their target audience, American Jews, don't vote on their issue, Israel," said one senior official at a pro-Israel organization. "That was weird. Now they're turning around and claiming that they elected a bunch of politicians on Israel issues. They've gone from sad to dishonest." While the bipartisan U.S.-Israel alliance appears safe for the time being, sources expressed concern about the Democratic Party’s future course. Fears were stoked in September when the Democratic Party experienced an anti-Israel convulsion at its convention in Charlotte. Delegates were caught loudly booing the Jewish state when leaders attempted to reinsert the pro-Israel language. "What you saw reflected at the convention is where these new Democrats are coming from," Walsh said. "Their base of support is not as pro-Israel." "Anyone who watched that video and the booing has to be stunned," Rosen said. "That was a symptom if there ever was one of a change. It’s disturbing." This entry was posted in Politics and tagged AIPAC, Israel, J Street, Joe Walsh, Steve Rothman, Tammy Duckworth. Bookmark the permalink.